The Power of Performing a SWOT (Strengths, Weaknesses, Opportunity, Threats) Review of Your Business. 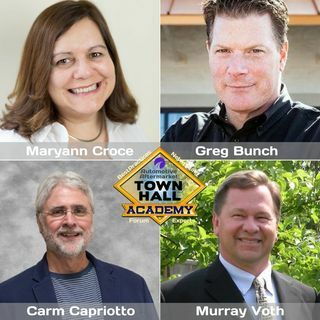 Join Maryann Croce, Greg Bunch and Murray Voth for a wide-open discussion on the power and value doing a SWOT on your business. These three aftermarket professionals know the worth and outcome of a well-done SWOT. Involve your team, assign priorities to the outcome and create a timeline to do the things discovered in this exercise. You are creating a strategic plan to best prepare your ... See More company for doing business in today’s market and into the future. Go to the show notes page for this Academy episode #40 to download support tools.